Now said friend is very unlike me in that he is organised and punctual, so when I was presented with an itinerary of our day which included FIVE castles I was pretty darn excited. 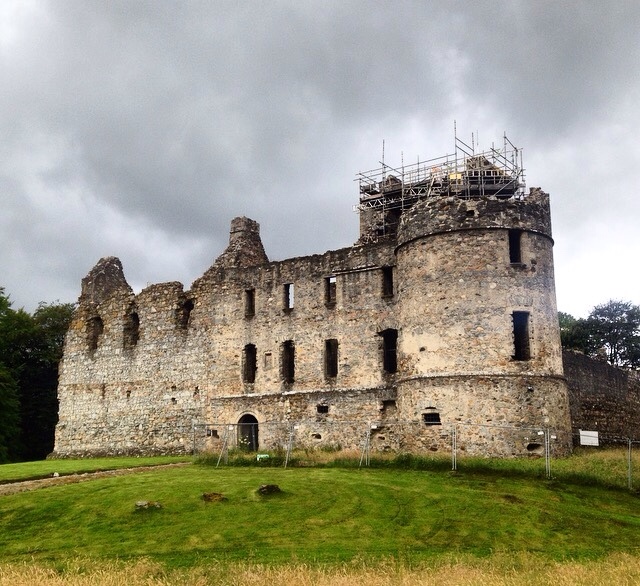 Our first stop was Balvenie Castle which is managed by Historic Scotland. Now I have to admit I was pretty gutted to see the scaffolding when we trundled up the track road however scaffolding aside, what an impressive ruin! Built in C12th, it has passed through ownership of both the Black Comyn and the Black Douglases. 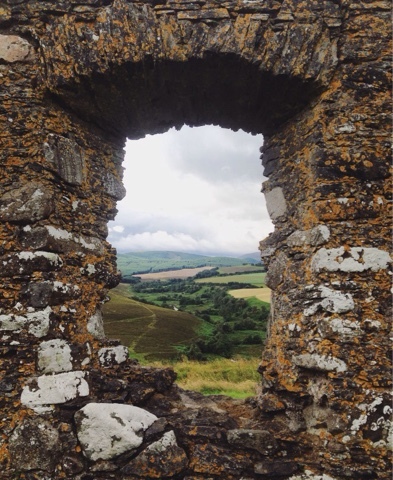 With lots of little nooks and crannys and in a relatively well maintained condition (for a ruin that is...) Balvenie Castle is definitely a must see if you like exploring and you can definitely let your imagination run a little wild imagining what all the rooms would look like. Our next stop was Auchindoun Castle and although the castle itself is not in the best condition, my god is the view stunning. Having parked in the tiniest car park I have ever seen, we walked along the track and climbed the hill up to the castle. It had such a magical atmosphere from the incredible surroundings, standing at the top of the hill with the castle in the background you can see for miles, and although so exposed on the hillside you feel like nobody can see you enclosed in a magical bubble. 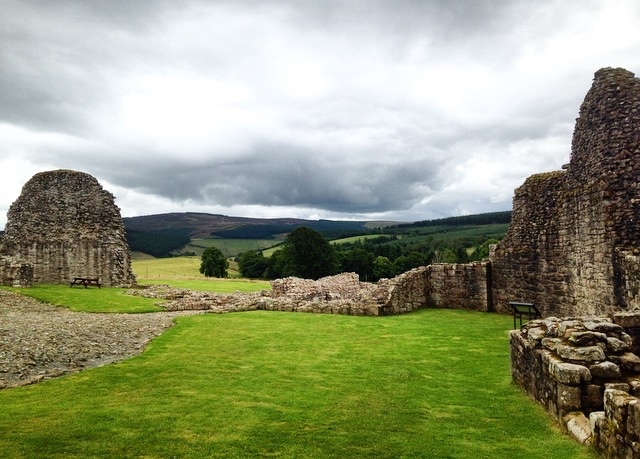 Peering through the windows at Auchindoun, what a view! Now with all this traipsing round the countryside by lunchtime we were pretty so it was time to whack out the picnic so we headed along to Kildrummy Castle. Again, another beautiful ruin, this was the largest of the ruins we visited. Perched on the hillside we had the most incredible lunchtime view. Of course classic me forgot to actually take a picture of the picnic itself although it did make it on to my snapchat story. Wicker basket, sandwiches, homemade sausage rolls, scotch eggs and pink lemonade it was the perfect picnic. We even had flasks of hot tea which kept us warm as we explored the castle. 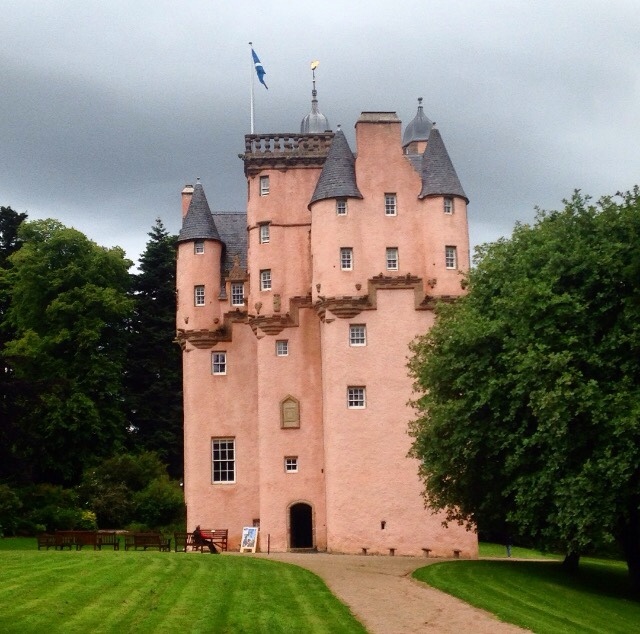 Our penultimate castle for the day was Craigievar Castle which is absolutely beautiful! In a vibrant salmon pink colour the castle was repainted in 2010 (I think, our lovely tour guide did tell me...) making it pretty unique and stand out against the other castles we visited. Looked after by the National Trust, the castle could only be visited as part of a tour, which actually meant we found out so many more interesting details than we would have simply been able to read ourselves. The interior of Cragievar was beautiful, particularly the ceilings, which had all been designed and created by a group of Italian artists, the plasterwork was so intricate and really added to the features of the rooms. Now as we were told all good castles had a ghost story, and Cragievar's lived up to the hype. I won't spoil the story for anyone who wants to visit it but it did make us laugh and really encapsulated the mindset of the time. Our final stop was Castle Fraser and my slightly Outlander obsessed side was dancing around at the thought of visiting Jamie's namesake castle. There was a wedding photoshoot taking place in the castle grounds as we arrived, I can't think of anything more romantic than getting married in a beautiful castle. In case you can't tell I am most definitely a schoolgirl when it comes to visuals of princes and princesses living in a castle. 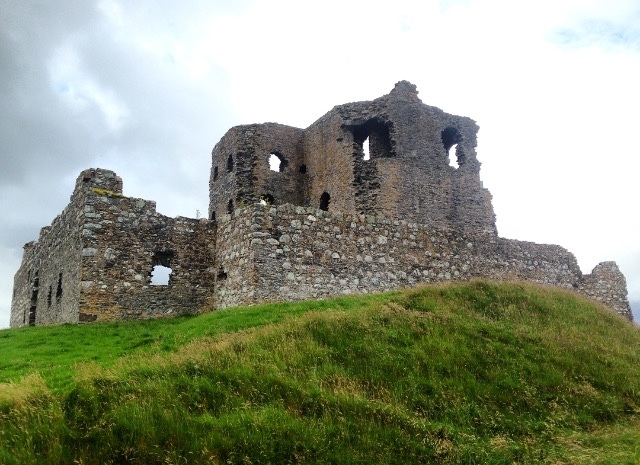 If you are ever up in the Aberdeenshire area I would definitely take the opportunity to explore the area and visit some of the beautiful castles. The ones I have talked about here are just a tiny fraction of the beauties that adorn the countryside. Apologies for the break in blog posts, I haven't been feeling tip top recently and have been doing extra shifts at work so it should go back to a couple of posts a week so life is a bit more balanced again. What's your favourite castle? Let me know in the comments and I can add it to my must see list! 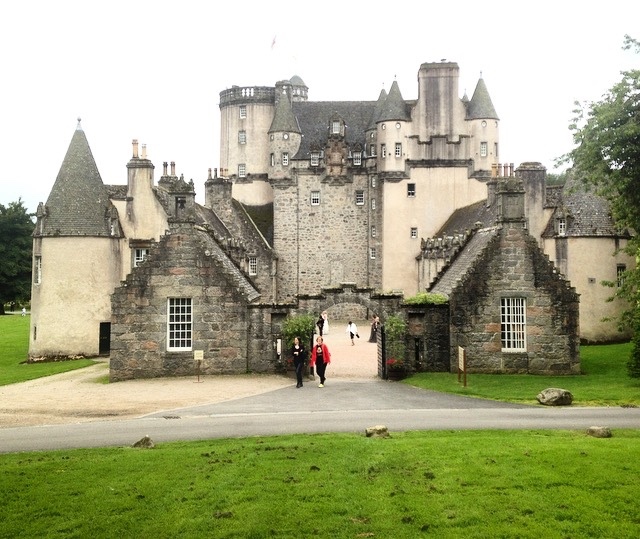 We took a trip up to Scotland over Christmas and visited Cragievar Castle. 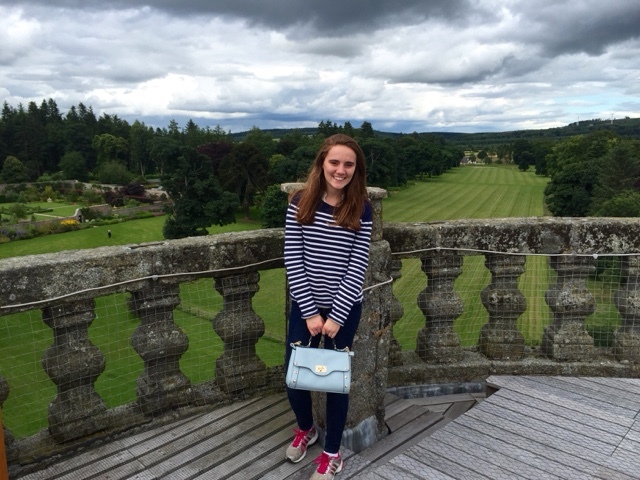 Sadly, it was closed for the winter while we were there, but the grounds are still open - how pretty is it?! The other castles look amazing too!